When I started studying for the CSSD I found there weren’t many resources online. This 28 page guide pulls together resources from AND, SCAN, CPSDA, the Sports Nutrition Care Manual and more. Throughout there are linked videos for further explanation of metabolic processes and a reference sheet for additional research and reading. Topics covered – Principles of energy metabolism, macronutrients, vitamins, minerals, antioxidants, hydration, supplements, clinical sports nutrition, weight management, special diets, and more. If you have further questions I would be more than happy to answer them! Hi! My name is Stephanie and I am a Virginia based Registered Dietitian and Board Certified Sports Dietitian working in the university and private practice setting. I help college students and athletes of all ages reach their nutrition and performance goals one bite at a time. If you are looking for special dietary, sports nutrition, and fueling resource I am here to help! 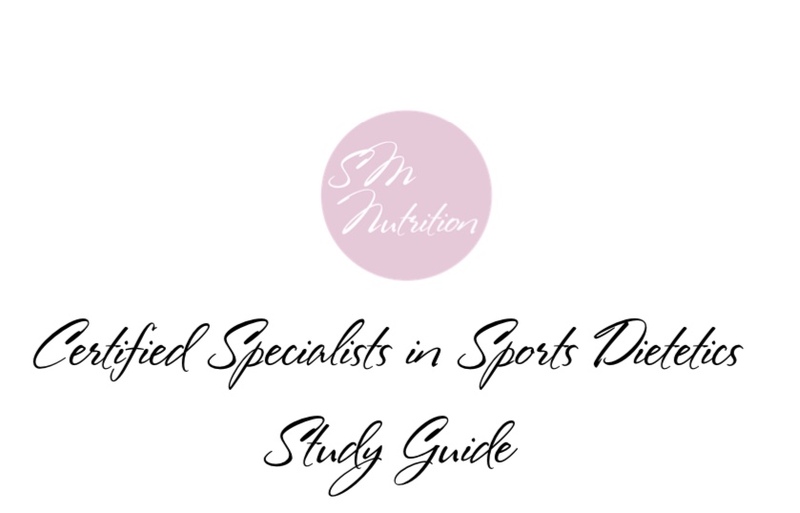 Topics covered - Principles of energy metabolism, macronutrients, vitamins, minerals, antioxidants, hydration, supplements, clinical sports nutrition, weight management, special diets, and more.